I have been following Gotham Gym on instagram for about two years now and have always been curious as to why so many models train there. In my mind I imagined this pristine, super high-end gym with vanity lighting, spa amenities and a very intimidating “you can’t sit with us” vibe. I mean this place is where Victoria’s Secret model’s get runway ready, there must be a huge luxury component to it, right? To my surprise when I arrived there I encountered a small gym tucked away in the West Village with nothing too glitzy or glamorous about it. If you don’t know about it you can probably walk by it and not even notice it. 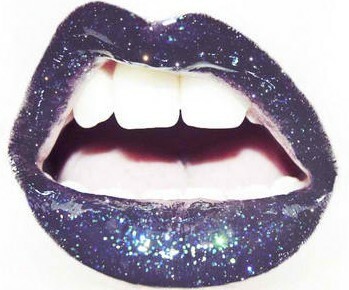 Except you will thanks to the amount of models and celebrities who hang out there. The space consists of a Boxing ring which is probably the gym’s main attraction, weight area, small group fitness studio and a few cardio machines. No amenities like locker rooms or juice bars. 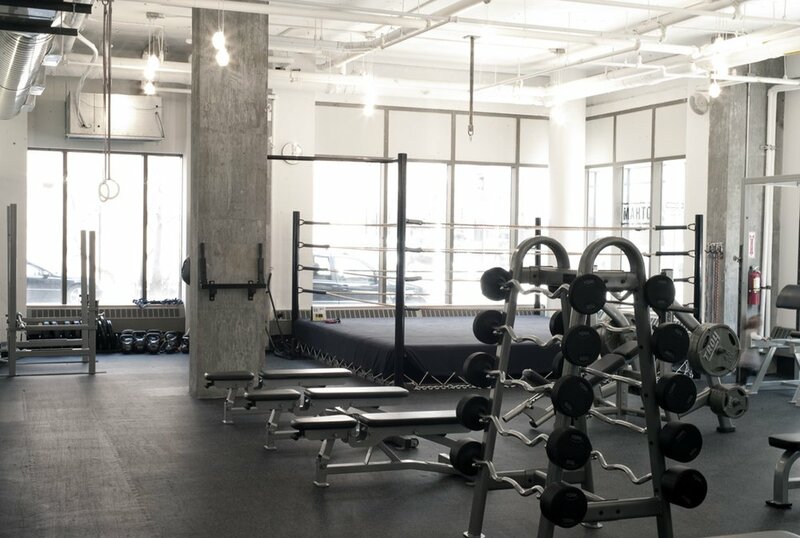 What I really loved about the space is the fact that it has so much natural light, which is something very rare in New York especially at a gym. I went there for a one on one personal training session and was very close to dying at certain points but the adrenalin rush kept me alive (so poetic I know.) I will definitely have to try and review a group class very soon. The gym is membership based and classes are included in your monthly membership, personal training is not. However you can pay for a drop in class and the studio is also included in Classpass. After trying this gym I have to say I was really happy with my training session which consisted mostly of boxing. 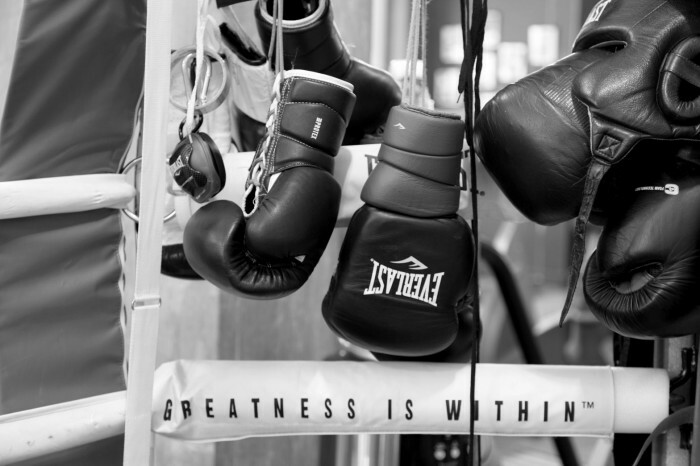 Boxing is a great workout for the body and for the mind. It’s a mix of cardio, weight training, flexibility and agility. There is no other workout that encompasses so many elements, which is probably why so many models have made it their workout of choice. Now I still don’t know why so many celebrities flock to this particular studio but my guess would be that the main reason is because Hugh Jackman and The Dog Pound work out there. The other reasons I can think of is that Gotham is located in a very quiet corner of a very quiet neighborhood and unlike most boxing studios this one doesn’t stink, it actually smells great! The only downside I saw is that they don’t have a real locker room with a changing area, what they have is a room with old wooden lockers and you have to bring your own lock. This would make my gym to office transition very complicated since you sweat buckets when you box and they have no showers! Other than that this gym deserves an A plus and I will definitely be back to see if I run into Gigi Hadid throw some more punches.